Why Choose Our IT Outsourcing Services? Ever been on a low budget, short with time for developing your project? Outsource it offshore to SoftSerbia, our offshore software outsourcing company, and we guarantee saving them both, your time and money. SoftSerbia company, founded in year 2003, is located in Serbia - Eastern Europe - homeland of Nikola Tesla, Mihajlo Pupin, Milutin Milankovic and Novak Djokovic. We currently have a team of 10 software developers, interested in outsourcing cooperation, especially if we are talking about long term partnerships. We have numerous outsourcing clients and projects (see references for their testimonials). Most of our projects we cannot reference because of NDA's we have signed with our clients. Some of them can be seen in portfolio. In 2006 we passed ISO 9001 quality certification. 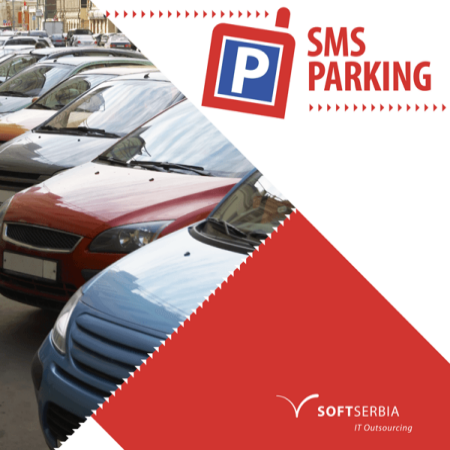 In 2008 We developed SMS-Parking system and finished implementation in our hometown Kragujevac. The system is still in use today. Continual improvement and commitment to quality are critical elements of our mission. After successful ISO 9001:2000 certification in year 2006, we are now trying to move forward and implement goals and practices from CMMI v1.2 model. Our goal is to achieve CMMI Maturity Level 2 and Level 3 certifications. GMT+1 time zone. Just 1-3 hours flight time from almost all of the European capitals. More than 4 hours overlap with the working schedule from the East Coast (comparing with just one hour overlap that Asian companies can provide). Long engineering culture. Tesla, Pupin and Milankovic are some of the well known scientists with Serbian origins. Being in the IT business for 16 years, our company embraces innovations and tend to use cutting edge technologies. Usually, our recommendation to clients is to go with Ruby on Rails, since in most of the cases it gives best results with a least effort. Other technologies are used if they suits better clients needs. Our hourly rate vary from 30$ for long term partnerships, to 40-50$ for one time projects. We create a project team and supply our client with the certain number of man hours on a monthly base. We are highly qualified and educated team of IT professionals providing reliable, secure and cost-effective offshore software outsourcing, understanding the vital components that go into a successful on-line services. Besides outsourcing projects we use our skills for development of our own software products. Feel free to contact us if you are interested to become our partner and implement our solutions in your country. SMS center contains parking business logic that enables payment via SMS. The system is implemented and still in use in cities Kragujevac (since 2008) and Despotovac (since 2009), and supports all three mobile networks in Serbia (Mt:s, Telenor and Vip mobile). The process of parking payment is easy and user friendly. User begins parking payment via SMS messages, by sending an SMS message containing registration number of vehicle, without spaces or other special characters (eg. KG123AA). The message is sent to a short number that corresponds to a parking zone in which the vehicle is located at the time of parking. New modules should be developed for connection to mobile operators in Your country. More information can be found here. management of system parameters: zones, sectors, parking price, short numbers, tolerance, limitations, types of scratch tickets, etc. SkyFood is the easy and fast system for online food ordering from restaurants. 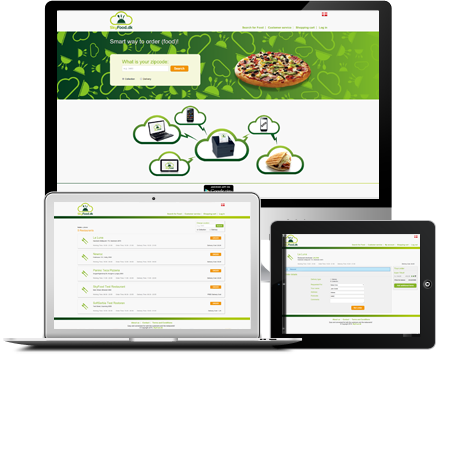 Food can be ordered through the website, android app or sms. Currently system is implemented in Serbia and Denmark. We are looking for partners in other countries. Besides website and android app food can be ordered simply by sending sms message. An important advantage of skyfood system is sms notification system. In the shortest period customer will be notified via SMS if your order is accepted and at what time your products will be ready. You will not have to wait for mail or contact customer service if your mail does not arrive on time. With online ordering you will not have to wait in restaurants until they prepare your food or someone from the restaurant to answer and take order by phone. After placing order, order is sent to the restaurant's POS printer within 1 minute of placing orders. On the snippets of POS printer, operator in the restaurant will see customers order, products, address, time of delivery and costs. Operator can accept or reject the order, depending on whether you can or not meet customers requirements. Customers will be notified by SMS about the status of their order (accepted or rejected) within 1 minute of activities in the restaurant. Android application that can replace POS printer for receiving orders in the restaurant. The application is available on Google play. The user friendly workflow with utmost simple, yet lovely design. Food can be ordered very simple in three steps. Search for the restaurants that deliver to your postcode area, browse and select meals and wait for delivery. Android app is available in 3 languages: English, Dansk and Română. Efficiently organize time using calendar and automatic reminders via SMS. Improve relations with customers with promotions and loyalty program features. Possibility of improving relationships with clients through loyalty programs and promotions. Highly scalable Ruby on Rails application based on microservice architecture. Microservices communicate over gRPC using ProtoBuffer. Front application communicate with backend using JSON API over Golang Gateway. Platform for connecting small service providers with users in a short notice. Chat bot that gives new way of interaction by building engaging text-based conversational interface powered by Machine Learning models and Artificial Intelligence. Api.ai machine learning models are used as natural language processing platform to understand what users are saying. Two skills were developed: Custom skill for real estate recommendation and Flash briefing skill. Real estate custom skill enabled users to search for real estates in the specified area. AWS Lambda function and Amazon RDS were used to support this custom skill. Geographic Information System with interactive choropleth maps. Social network that connects professionals in tourism. Travel businesses marketplace without the middleman. Project was developed in cooperation with another Frontend software company, while SoftSerbia was responsible for the backend and the API. Social network that brings together party hosts, people that want to attend parties and people that want to work on parties (DJs, Cleaners). Party attendants can search for parties and buy tickets. System is custom made and developed from scratch. Credit card payment implemented using Stripe. System enables automatic data import from different CSV and Excel files. These data can be combined and exported in various formats. System is custom made and developed from scratch. Application has a calendar with possibility to programmatically inform clients via SMS. Reminders, promotions and loyalty campaigns were used. A social media star is not much different from a company. Subscribed users and user engagement is their top priority and new tools to drive this will be used. We built a tool to increase fan loyalty in time and “space” (space = number of social media) with adding values to tweets and by building a twitter-independent platform for the youtube community. FoundationMortgage.com - Beside many standard RefineryCMS extension (Blog, Pages, Menus, Inquiries, Testimonials, ...) several custom RefineryCMS extensions were developed. In addition, we developed a mechanism for fast and easy creation of new personalized websites for each employee, based on prepared template. One RefineryCMS application is used, with connection to multiple databases: one DB used for one employee's website. All websites were ADA compliant. MatchDayMike.co.uk - Platform providing interactive information for all football fans, attending or watching any match in the four professional English football leagues. Highly scalable "Twitter-Like" RESTful API with 25 resources and more than 100 API calls. The system was projected and set to support 1000 req/s on a cloud platform. 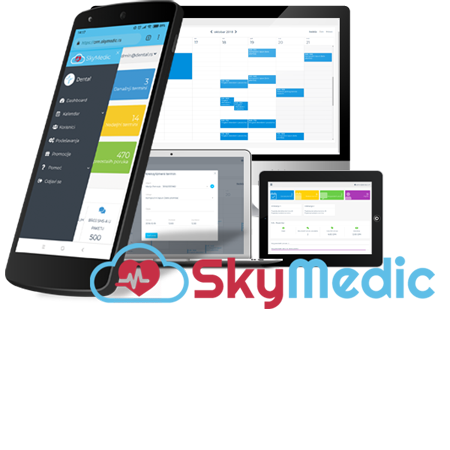 Online documentation was available and several third party developers integrated successfully their mobile apps. Because of NDA with a client, we cannot reference URL nor screenshot of this project. Complex social platform with RESTful API integration. Standard Rails ActiveRecord was replaced with custom made RESTful communication channel gem. Developed in RWD and with model and feature automated tests. Because of NDA with client we cannot reference URL nor screenshot of this project. Flight, Hotel, Holiday, Car Hire, Transfer, Insurance, Tour, Rail and Ferry booking engine with continuous introduction of system upgrades and new booking features. Integration of 3rd party content supplier APIs into the system. System maintenance and secondary technical support. WordPress multilingual website with Vimeo on Demand and PayPal Donations integration. Multilingual e-commerce website with back-office administration panel. Magento used for shopping cart. Custom plugin for payment through Visa, Mastercard, American Express. Simple website presentation development for travel service provider. Custom made shop for device skins, cases and other gadgets. Improved software for mapping designs on devices. Specially made page where users could create their own design and map it on a desired device. PayPal and credit card payments. White label shop system - dozen of different templates for different markets, with the same backbone engine. The web platform for a TV contest in Germany, where winner takes a trip to space. The project included video and image processing in the background using FFmpeg tool. Back-office admin panel for control over live voting, users and other content. Platform is no longer available. SugarCRM was selected as starting point for this project because it was open source and had many modules that nicely fitted project requirements for Loans, Borrowers, Loan Documents, Tasks, Conversation logs, Notifications, etc. Anyway the core of the system had to be developed from scratch and was represented by loan forms that included import and export to fannie mae as industry standard file format. Development of several popular games and apps: Solitare, Sudoku, Mahjong, Backgammon, Hold'em, Next, Fast Food Calorie Counter. Various mobile platforms were covered: Windows Mobile Pocket PC, Windows Mobile Smartphone, Symbian UIQ and Palm OS. Some of games became the best selling games on all platforms! Several applications were ported from one mobile platform (mostly palm OS) to Windows mobile and Symbian UIQ. Application list includes 995 Dictionary, Fuel, Clock, Password manager, Drinks, Unit converter. C programming language was used. Developing new web crawling scripts during outsourcing cooperation with Swiss client. System maintenance. Wifi hotspot online database - was online until 2009. Website development. Database design. Back-office. Belgian Dating website. Was online until 2012. System design and development. Complex match engine. Multilanguage support. Credit card payment. Back-office. Companies all around the world relied on our service and support in past 16 years. We are especially thankful to those who gave us their testimony of our partnership. Our company has been working with Softserbia since January 2004. We have found Novica and his team to be very professional, productive and helpful. We have successfully established a relation based on trust and professionalism with SoftSerbia. They developed numerous projects for us, both games and professional software compatible with multiple mobile platforms including Palm OS and Windows Mobile. I strongly recommend working with them whether you need a small or large work done on mobile devices. I certainly consider SoftSerbia as one of the leader in mobile software development. Softserbia has demonstrated professionalism, knowledge and kindness in every aspect of outsourcing application developments. It surely makes business sense to outsource software developments with SoftSerbia. SoftSerbia has been instrumental in the success of 995 SOFT, a developer and publisher of games, utilities,and reference applications for smartphones and PDAs. Novica has been a pleasure to work with and I highly recommend SoftSerbia for mobile software development, be it for porting existing applications or creating new ones. They can perform outstanding development on a wide range of platforms, they make sure that the work is done with care and quality, so it is a real pleasure to work with them. In 2006 we embarked on a project to create a database driven software as a whole solution to our business in residential mortgage lending. The purpose was to handle high volumes of mortgage applications. The system requirements were that it needed to be remotely hosted with unlimited users, have full CRM functionality including email and drip campaigns, have a full loan origination software functionality with input forms and print out forms, combined with a shared document storage repository which was permission based and connected to an intricate task, document review, and status based critical path completion functionality. Additionally, we required the ability to interface with industry standard file formats, as well as to have our own design software to easily edit/add forms, critical path processes. We were luckily referred to SoftSerbia. For a project which we had US based quotes from $250,000 to $300,000, SoftSerbia was able to complete for around $30,000. Upon the completion of the project, we had a database that performed all of the functions that we needed. Our only problem was that the mortgage industry tanked almost simultaneously, and we no longer had the volumes which would require such a fantastic system. However, the work performed by Softserbia and the relative costs were second to none! We would highly recommend them!!! SoftSerbia worked for 123skins for several years. During this period they proved to be more than a traditional outsourcing IT-Department for us. The way they identified with the project and also their effort was always amazing. SoftSerbia does a great job for us helping to maintain and improve our webshop and I can strongly recommend them for setting up and maintain online shop business. I can only highly recommend Novica and his team. I had a bigger project done by Softserbia and was impressed by their ability to quickly adapt to the framework I prepared. Then I had several smaller problems where I needed help. Novica always helped me out quickly and professionally. When other people would more or less blindly start a project based on my suggestions in order to make money, he first tries to find a free solution. There is one problem with him: If you want to send him money for solving those smaller problems, he doesn't want it. So, better don't ask and just send it. Filao worked with SoftSerbia on a number of projects, and I can highly recommend their team whether you need application designed and developed from scratch, or porting your existing application from one mobile platform to another. PHP Australia outsources to SoftSerbia because they are professional and adroit software developers who work on any size of project in a friendly and highly articulate manner. They employ a solution orientated philosophy that gets the job done with a minimum of effort from our side, which leaves us free to manage our clients. I encourage any organization who wished to realize a software project to put them to the test. We continue to outsource SoftSerbia for cost effective qualify Software product delivery. Organizations seeking a reference may contact our offices via email. Our relationship with SoftSerbia has been nothing short of outstanding and we have found Novica and his team to be highly knowledgeable programmers and developers. They have worked with us on several projects and their solutions have always been highly regarded. If you are looking for a team that know their stuff and who can meet your deadlines then these guys are it. You will not be disappointed. For additional comments please feel free to contact us. Softserbia developed several systems for us over the last two years. Some larger projects involved managing and distributing thousands of photos and video files over the internet. Our sites serve thousands of visitors, through complex database driven content management systems. We can't afford any downtime and chose Softserbia because we knew their systems are rock solid. All our sites have been working perfectly since and we never had to worry about them. Also, the Softserbia team has always offered great support and help. They were able to solve challenging problems, sometimes with brilliant ideas. All projects were delivered on time and sometimes even in advance. Copyright © 2003-2019 SoftSerbia IT Outsourcing All rights reserved.